Below provides an overview of key dates and events during the Lynher’s history. If you’d like a more detailed account of the heritage of Lynher click here to download the Heritage PDF document – with special thanks to Jan Carpenter. 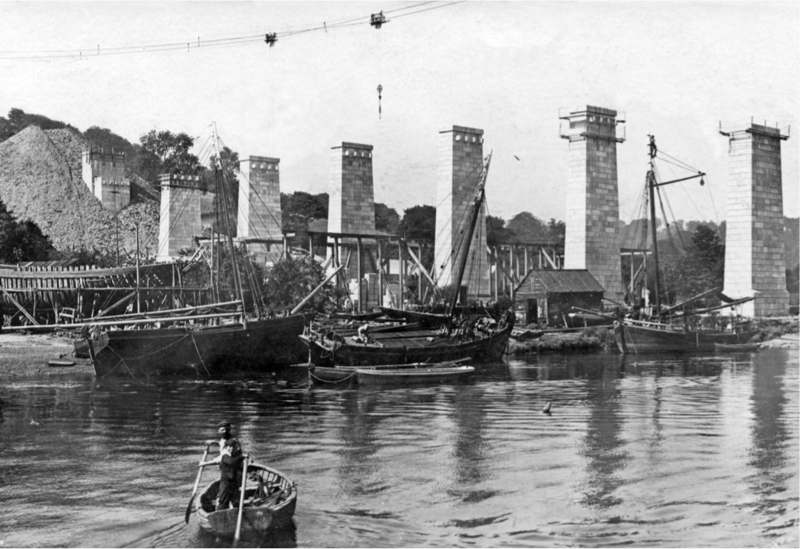 The Lynher was built at Calstock between 1895 and 1896 on the Devon side of the River Tamar by James Goss and was sold on completion to a Mr Cox, presumably Captain Cox the first skipper, at a build cost of £400. 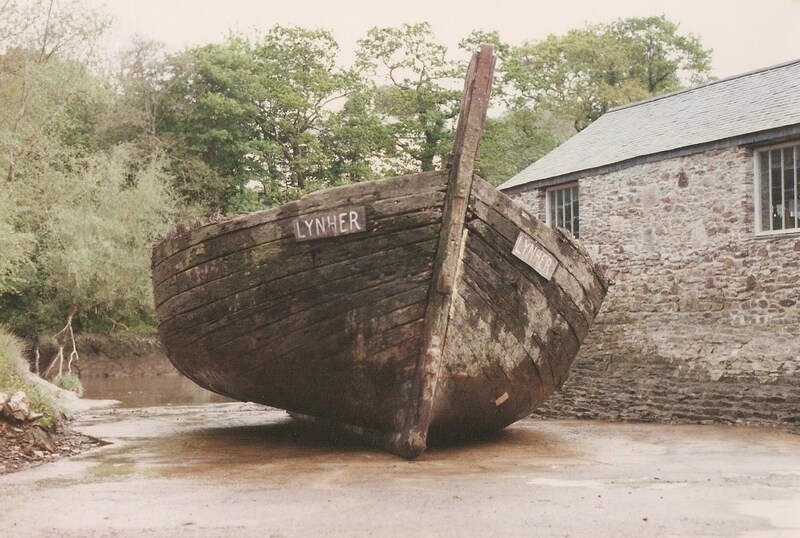 At 28 years of age, the Lynher was purchased and registered by Captain S Daymond of Saltash for an unknown sum. In 1928, still under Captain Daymond, the Lynher was fitted with a sturdy 27 horse power engine of an unknown make and model, which ran on tractor vapourising oil, or TVO as it was often abbreviated to, a common fuel before the proliferation of the motor car. A one-and-a-half horse power Hamworthy engine powering a winch fixed to a crane was installed at the same time, replacing the need for labouriously hand operating the derrick, thus speeding up the loading/unloading process. During a bitterly cold December in 1930, the Lynher is recorded as sailing from Plymouth to Fowey. 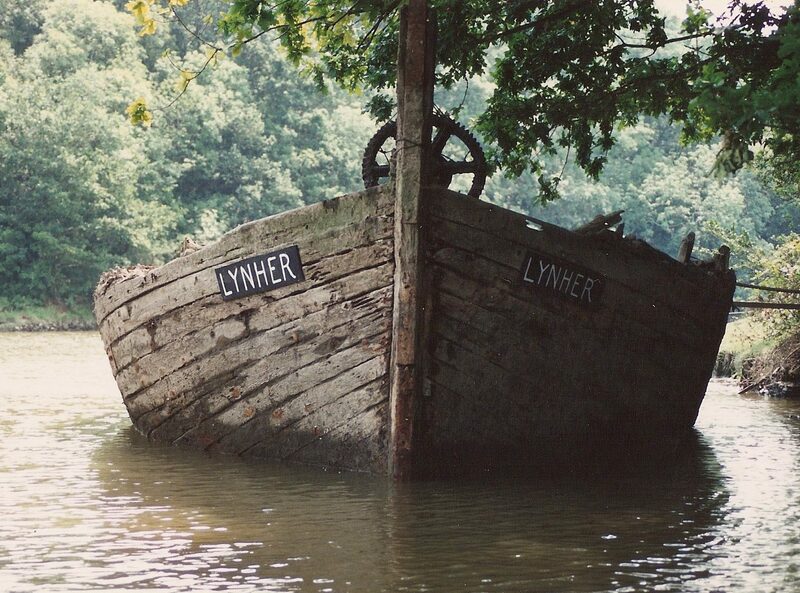 Soon after the outbreak of WW2, the Lynher was requisitioned by HM Government for use as a barrage balloon platform and anchored in Plymouth Sound for the duration. Now owned by Mr Kimberly Foster, the proprietor of Treluggan Quarry and worked exclusively from Treluggan with cargoes of Blue Elvan road stone. The customs register states the Lynher as being ‘broken up’ at an unspecified time in 1948 after 52 years afloat, although it is locally known that she continued to work up until sometime into the 1950’s. Treluggan Quarries close and the Lynher is hulked next to the quarries quay at Poldrissick. 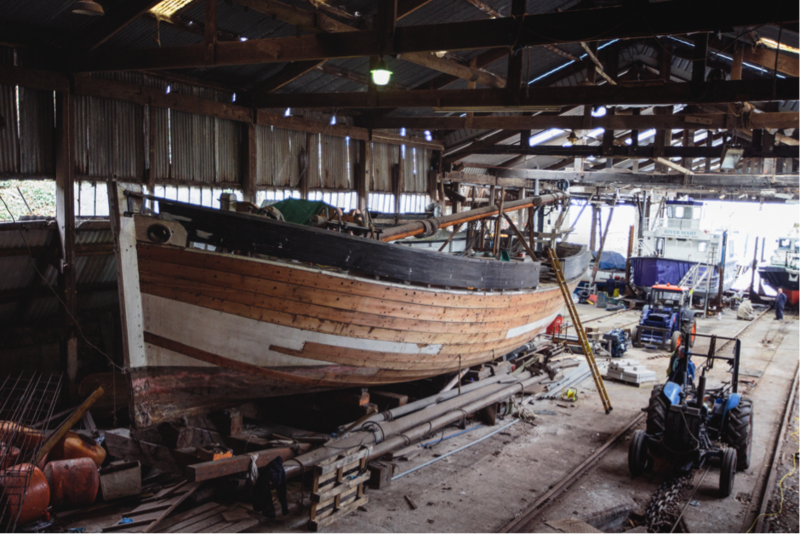 Enquiries were made for the restoration of the Lynher by the trustees of Morwellham Quay. Considered uneconomical to rebuild, the Lynher was overlooked as a project. 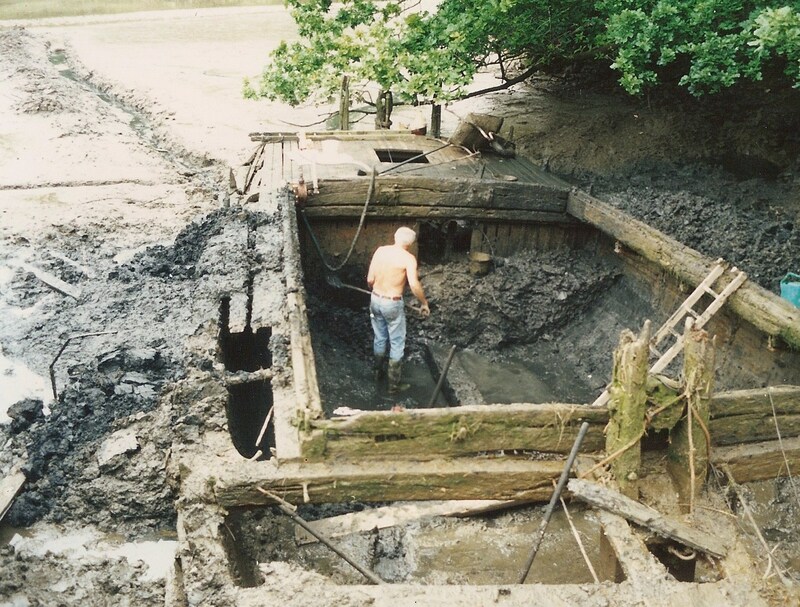 Charlie Force made enquiries about the Lynher’s hulk and decided to dig the mud out of the barge. 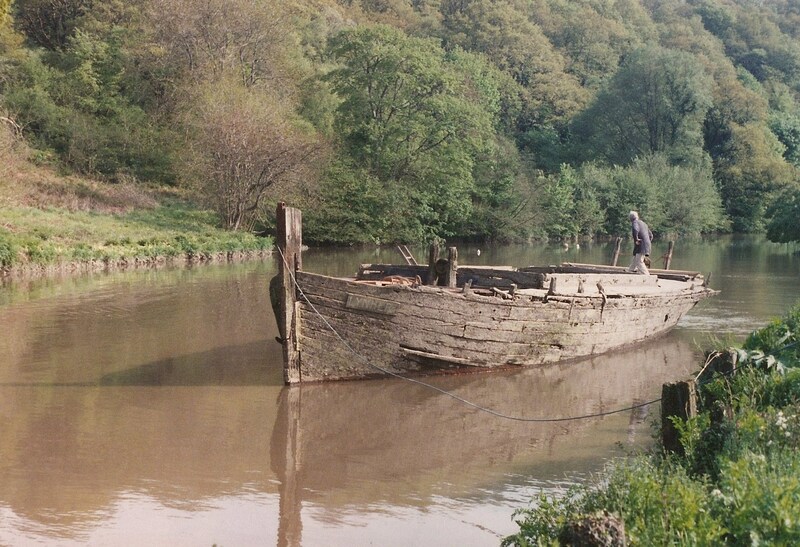 Thanks to Charlie’s effort the barge miraculously floated out of her mud berth. 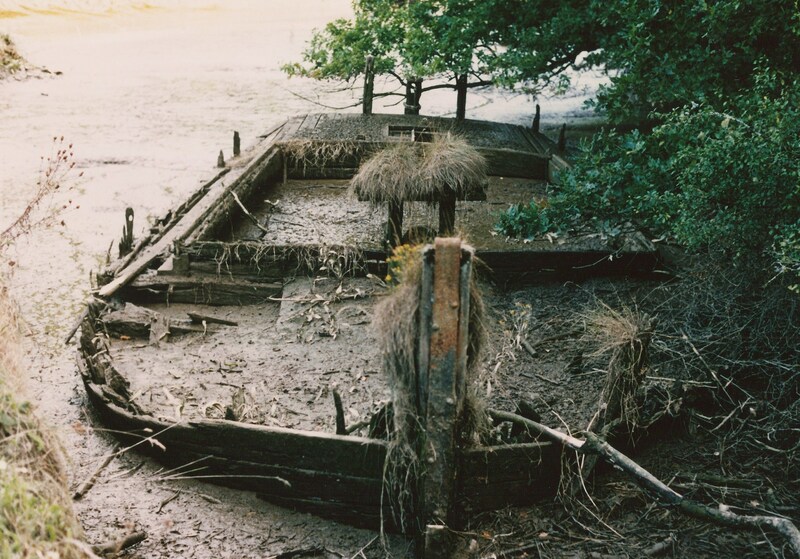 Using a dump-truck engine, Charlie proceeded to motor the barge up to Morwellham Quay. After an exciting first navigation upriver with a dumper truck engine strapped to her side, the Lynher reaches Morwellham Quay. 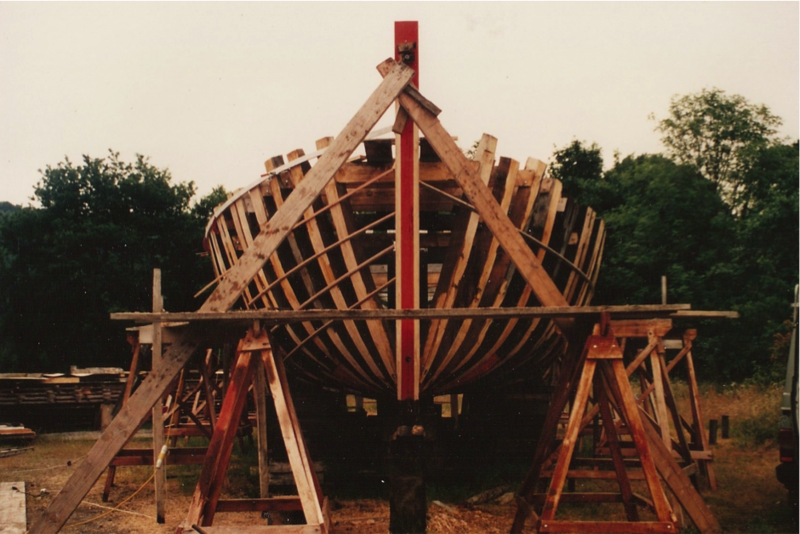 Steady progress was made during the restoration although it took Charlie Force 9 years of intense labour. 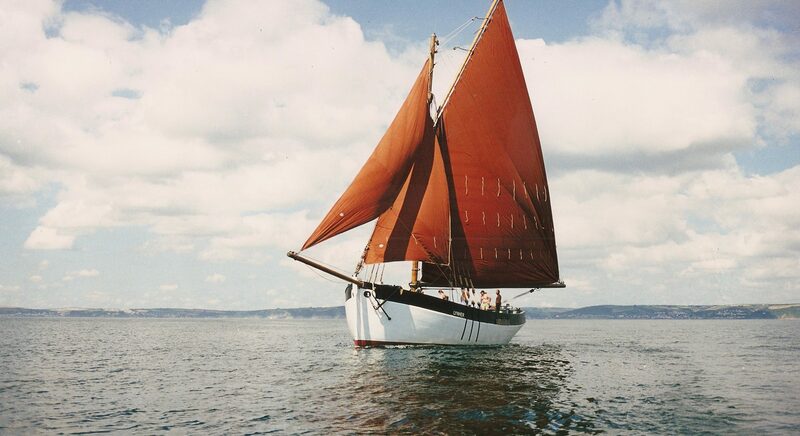 The ‘Lynher’ after restoration in full sail south of Plymouth Breakwater 1999. The Lynher is sold to a lady who had the intention of living aboard whilst cruising the coast. 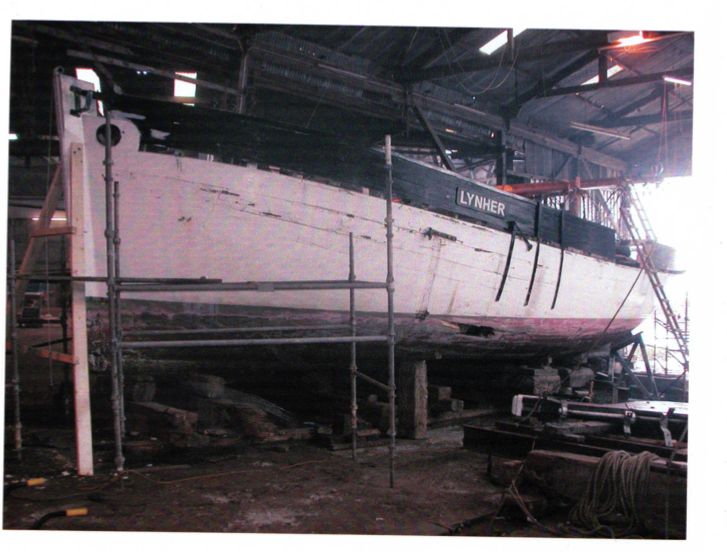 The Lynher went up the slip at Mashfords boatyard on the Hamoaze for a re-fit and has remained there to date. Miss Wendy Yates donates the barge to the Lynher River Barge CIC Directors Dominic and Barbara Bridgman who start the restoration work again!